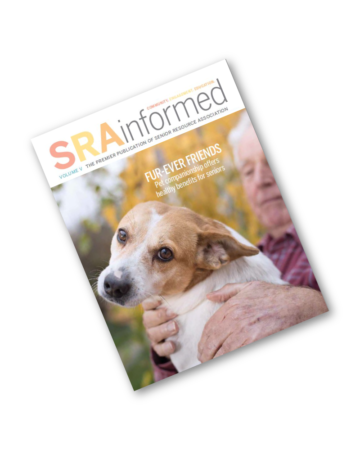 For more than 40 years, Senior Resource Association (SRA) has provided services to support and advocate for independence and dignity of older adults in Indian River County. Every day, our Meals on Wheels, Adult Day Care, and Community Coach transportation programs provide wellness and peace of mind for seniors and their families as well as adults aged 18 and older who need supervised care. Our goal has always been to help keep them healthy and in their own homes for as long as safely possible. Senior Resource Association, in conjunction with Indian River Transit, also manages GoLine, the public transit system with 15 fixed routes throughout Indian River County. Residents and visitors of all ages catch the bus at no charge. Volunteers are the heart of our organization. From delivering meals to homebound seniors, special events and volunteering time, the opportunities are endless. A fantastic organization that does an amazing job in supporting the needs of our seniors in Indian River County.